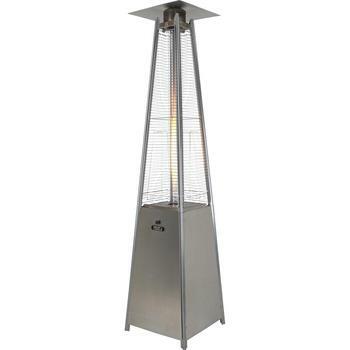 Tall, handsome and highly sought-after – a pyramid patio heater is a beautiful addition to any tasteful outdoor setting and the Athena Plus+ is the original pyramid patio heater redesigned to increase efficiency and durability. 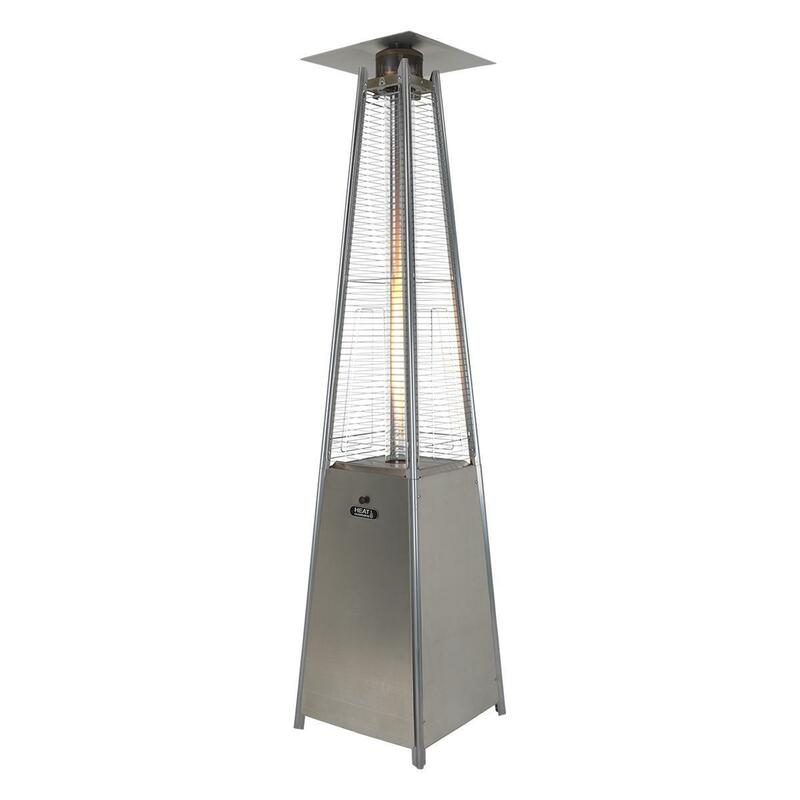 It’s difficult to imagine a more dramatic outdoor feature than a pyramid flame patio heater – their futuristic shape and tall, flickering flame gives them an almost mesmeric quality. Should you need more reasons to fall for these burning beauties, read on to find out more about some of the major benefits they contribute to your outdoor space. 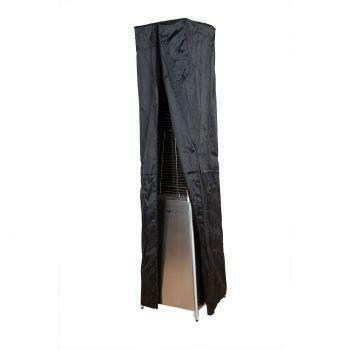 What are the benefits of the Athena Plus+ pyramid patio heater? Pyramid gas heaters are no ordinary model of gas heater. With their streamlined aesthetic and tall, powerful flame, they really stand out. 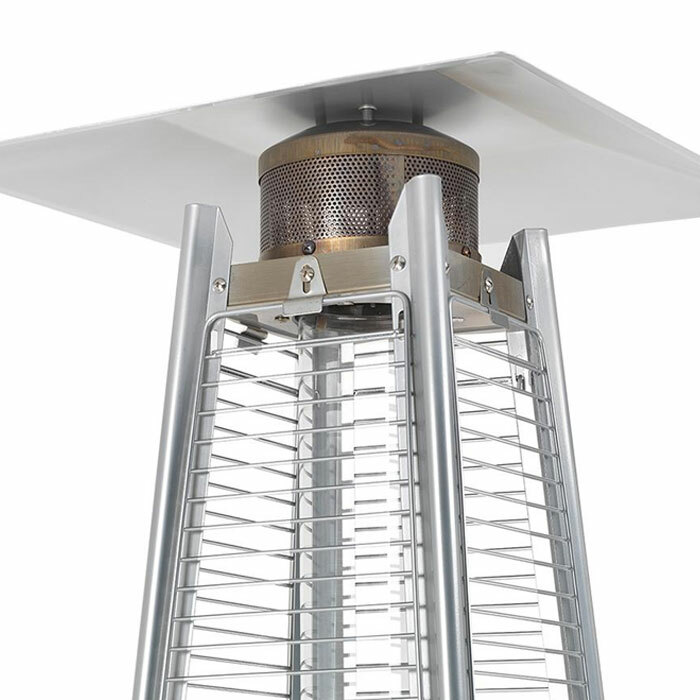 Our Athena Plus+ pyramid patio heater is made from commercial grade 304 stainless steel which makes it highly resistant to corrosion, sturdy and durable when moved from setting to setting in your garden, patio or outdoor area. Time after time, it will remain in splendid condition. 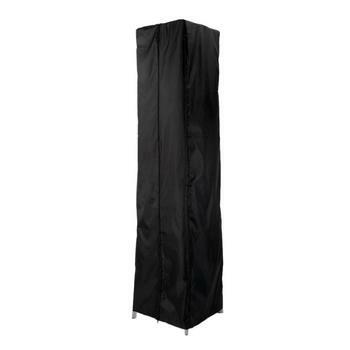 Standing on four sturdy supporting legs which extend to form the base to the very top, a pyramid garden heater is one of the most stable types of gas patio heaters you can buy. Its streamlined shape makes it less susceptible to blowing over in windy confitions, and the sturdy footprint can provide a more secure footing on your patio than cylinder-based models. In the unlikely event that it did fall over, our Athena Plus+ pyramid heater features an anti-tilt safety cut-off that reduces the likelihood of accidents. With the Athena Plus+ stainless steel patio heater it's possible to light up and heat your outdoor area for a full 16 hours using a single 13kg canister of gas and its class leading burner design. Unlike more fuel-hungry models or imitations, you will be able to enjoy the Athena Plus+ more often from the very start to the very end of your party or function without the need to rush around replacing canisters. The Athena Plus+ comes with sturdy wheels for easily maneuvering it into and out of place where and whenever you need. Ultra-economical to run and exuding elegance, the Athena Plus+ stands at an eye-catching 2.28m tall and generates 50% more heat than the previous Athena model. This extra flame-power makes it an ideal choice for larger outdoor spaces, where a more generous heat output ensures greater comfort. The Athena Plus+ is capable of running on either propane or any LPG gas, we will always recommend Propane which gives the best operating and storage temperature range in all seasons and is generally regarded as the most versatile gas for patio and outdoor gas heaters. When you’re hunting for a nice place to eat, a restaurant’s first impressions count more than anything else. 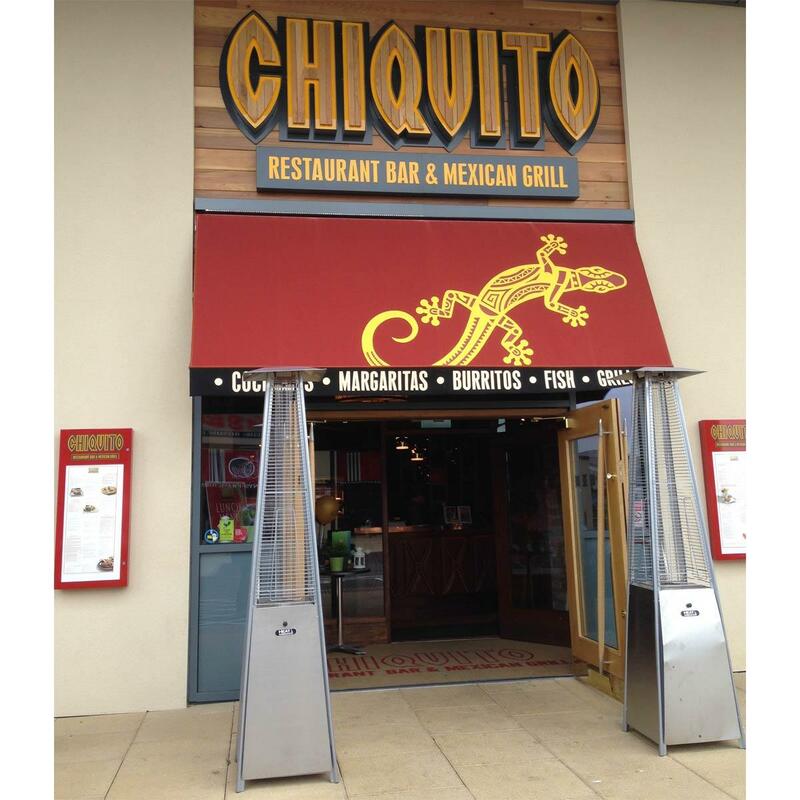 With their bold, avant-garde appearance, pyramid heaters are a simple way for restaurants and bars to attract people's’ attention, increase walk-ins as well as generate a comforting warmth in the surrounding area. Whether they're adjacent to outdoor seating areas or not, they have a large impact and welcoming statement to arriving guests. To make your doorway as appealing as possible, placing one flame pyramid heater either side of the main entryway creates a warm and welcoming atmosphere. Despite its height, the Athena Plus+ weighs just 28kg – that’s about as heavy as a Dalmatian, making it easy for one person to maneuver on their own. The square base combined with the sturdy wheels fixed to the base mean it's much easier to move in and out of position than many other gas patio heaters. 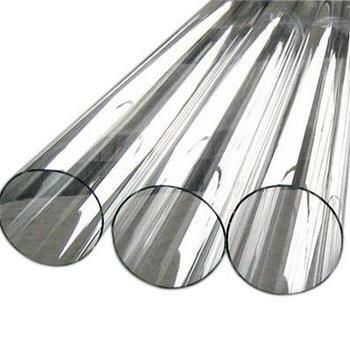 Need to rearrange your patio or outdoor event space quickly and easily? The Athena Plus+ pyramid-style heater has you covered. Simply tilt and roll your unit wherever you please. Although you’ll be hooked from the moment you switch them on, there may be times when you won’t be using your pyramid gas heater. We know, they’re beautiful. But eventually you’ll need to switch them off and go to bed! Maintaining your Athena Plus+ pyramid gas patio heater while it’s not in use couldn’t be easier. Water, frost and guano-proof – the Athena’s bespoke protective cover keeps the heater absolutely spotless. Easy to slip on and off, the cover can be removed effortlessly – so you can have your heater flickering in a flash. Stainless steel doesn’t require special cleaning products to keep it in tip-top condition – it can simply be wiped clean with a damp, soapy cloth. Like wood, stainless steel has a grain – these are the faint lines you can see on the surface of your pyramid outdoor heater. Nothing dramatic will happen if you clean vertical to the grain, but wiping your cloth in the same direction produces optimum results and reduces water marks. Because they attract a lot of attention, you may like to keep your pyramid heater protected from thieves when it’s not in use. 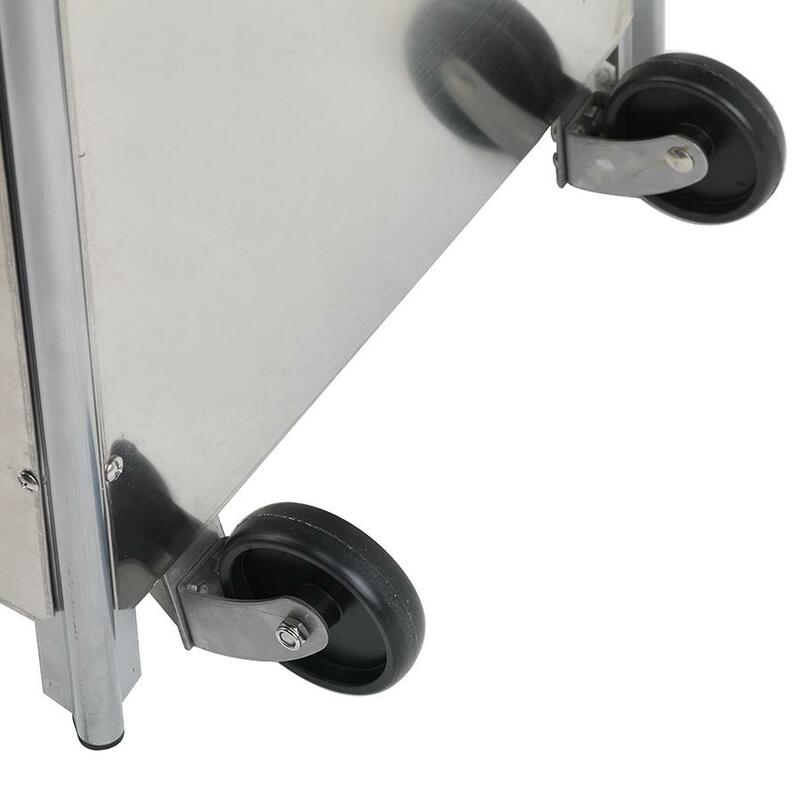 Using the wheels attached to its base, you can roll the Athena to a shed or secure storage cupboard then lock it up until you need it again.